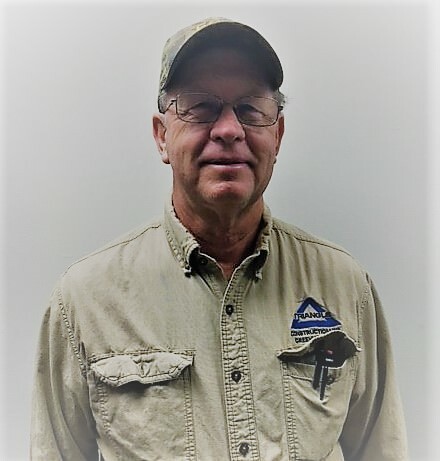 Doug Burns Retiring After 47 Years at Triangle | Triangle Construction Company, Inc.
company for that amount of time and we can’t thank him enough for his loyalty and dedication. His skills in concrete construction are unparalleled and among the best in the company. Doug’s interest in the construction industry began when he helped build houses with his uncle as a teenager. He came to Triangle in the summer of 1968 and worked on Spartanburg Regional Hospital. He went on to Greenville Tech to hone his welding skills and returned to Triangle as a laborer in August of 1969 to begin work on Charlie’s Restaurant. During his career at Triangle, Doug has served as the superintendent on numerous projects, including Allen Bennett Hospital, Durbin Creek Waste Treatment Plant, First Presbyterian Church Education Building, Courtyard Marriott Downtown, Christ Church Performing Arts Center, as well as the Duke Power Operations Center in Greenwood, just to name a few. He is currently working on the WN Watson project in Greenville. Doug has been married to his wife Sylvia for 45 years and lives in Mauldin, SC. He has two children, Courtney and Michael, and two grandchildren. In his spare time, he enjoys spending time with his family, working on old tractors, and watching his granddaughters play travel volleyball. Doug, we are so grateful for your leadership and friendship and we consider ourselves lucky to know you – you will be missed! Happy Retirement!